Which male characters come to mind when you think of Jane Austen’s novels? How about Mr. Darcy from Pride and Prejudice? Then maybe you’d like to try Mr. Darcy’s Pride, a unique oolong tea offered by Bingley’s Teas. Check out this bold-scented tea that grows more approachable with each brew, at my newest Tea Time at A Bibliophile’s Reverie! Ah, Fitzwilliam Darcy. He may be handsome and wealthy, but at the beginning of Pride and Prejudice his cold, aloof behavior is not the least bit becoming. No wonder Elizabeth Bennet feels slighted by his remarks when they first meet, and later turns down his marriage proposal. His failures and Elizabeth’s pointed criticisms eventually influence Mr. Darcy to see the error in his ways; and by the end of the novel, even Elizabeth sees that he has changed for the better. I’ve really come to appreciate oolong teas in the past year or so. While I’ll try just about any oolong, my favorites tend to be the traditional kinds, ones that lilt with fragrance out of your cup and then go down buttery-smooth. Tea From Taiwan’s Hua Gang Oolong is one of those lovelies. Read more about it – and find out which YA fantasy novel I paired with it – at my latest tea review at A Bibliophile’s Reverie! I’m still combing through the smorgasbord of oolong samples I’ve received since over the past few months. 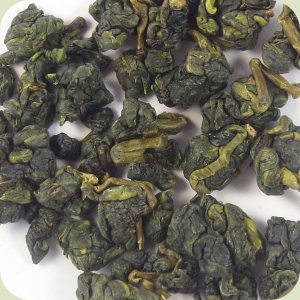 Today’s pick is Hua Gang Oolong, courtesy of Tea From Taiwan. Hua Gang is harvested on Mount Li (Pear Mountain), one of Taiwan’s most prized tea regions and located in the country’s Jade Mountains range. The plantation’s high altitudes (about 2400 meters, or roughly 1.5 miles) and cool, humid climate is said to be ideal for growing oolongs. So, how does Hua Gang tickle the senses of sight, smell, and taste? Let’s open the packet and find out! What grows in one of Taiwan’s most famous tea-producing regions and gets its distinctive flavor from… cicada secretions? Yes, it may not sound appetizing, but Tea From Taiwan’s Dong Ding Ming Xiang Oolong really is quite tasty. 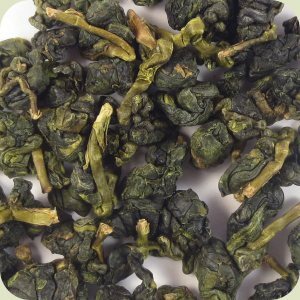 Find out more about this earthy, honeyed, and unique oolong at my new tea review at A Bibliophile’s Reverie’s Tea Time At Reverie!